Blog on chrispederick.com - The blog of Chris Pederick, author of the Web Developer browser extension. 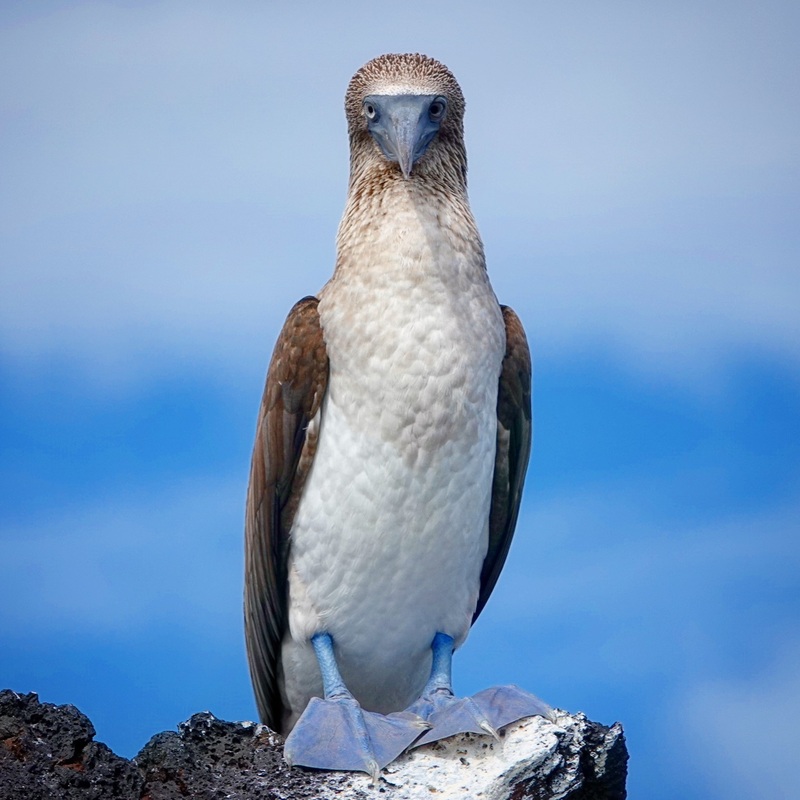 @chrispederick Are the Galapagos just so full of wildlife you can easily take these stunning shots? Or did you have to seek these animals out, spend hours waiting etc? @Miraz The Galapagos are unique partly because of their isolation and that has resulted in essentially no land predators. With no predators the animals reproduce in large quantities and have no fear of people which makes it incredibly easy to get close to them to take photos. In fact, there is a belief that the birds are called boobies from the Spanish word bobo meaning stupid because they were so tame and easily caught and eaten. @Miraz That’s probably the last photo that I will post from the trip, but I have a bunch of videos to edit together from snorkeling that show how close I got to the animals. Those videos are harder to post on micro.blog so will probably end up on Instagram, but I’ll then probably write a blog post embedding all the videos for posterity so keep an eye out for that if you’re interested. @chrispederick stop! It’s a trap! @nitinkhanna Yeah, Instagram is the last social network I’m still “cross-posting” to and it hasn’t crossed into the demoralizing state that Facebook proper and Twitter did for me…yet. I plan on still owning my content and uploading the videos to my own web site though. I just wish micro.blog did a better job of displaying short posts containing videos, but I understand the problems that this could present and why @manton and @macgenie are thinking it through carefully. @chrispederick Oh wow. What a delight! @chrispederick Thanks for the feedback. Better video support is coming. Now that we’ve wrapped up this new Sunlit release, I’m looking forward to focusing more time on some of the other features we’ve planned for this year. @manton Ummm, please write the book. Write the book. Write the book! Or pay Cheri or Simon Woods to write it for you, but get it published. It was promised in the Kickstarter and was the main reason I joined the Kickstarter. It should be well ahead of any other proposed new feature at this point in time. Thanks. @manton That’s great to hear. I’m excited to see what you build both in terms of Micro.blog hosting (even though I’m not a paid member…yet) and for potentially supporting displaying videos in the timeline as an Instagram or equivalent replacement. I currently run a self-hosted WordPress and use Sunlit to post photos from my Instagram to my own site (if Instagram supported uploading via API I’d go the other way) which works perfectly! However, I’m struggling how to do the same with short videos. My options seem to be YouTube (ew), Vimeo (not convinced they will be around for the long term), Cloudinary (has a 100mb video limit unless I pay $99 a month) or self-hosting through uploading to my WordPress or Amazon S3. I’m leaning towards Vimeo until they go away and then S3 if that happens, but it really feels like there is a gap for a simple non-ad supported short video host similar to what you have done for podcasts. @Ron I think both are important. We have to keep improving Micro.blog. It’s definitely my plan to accelerate work on the book, though! @manton I’d say either 10-20 second videos of my dog doing something cute or 30-60 second edited compilation videos of things like snorkeling on vacation which prompted this discussion. I’m really thinking of this as an Instagram replacement not a YouTube replacement for longer videos. As for how often, for me no more often than once a month most likely which is either a good thing for limiting bandwidth costs or limits the demand for something like this depending on your perspective. @chrispederick Perfect, thanks! That sounds like a good fit for Micro.blog. I agree with you that significantly longer videos are better served on dedicated video platforms. @manton For sure, no worries. I love what you’re doing here at Micro.blog and always interested in what you think are the right plans for the future. Always feel free to hit me up if you have more questions. @chrispederick FWIW Flickr allows video uploads (even with a free account). Don’t know if that suits your needs of course. @ronguest Good call. I always forget about Flickr these days, but they are an option too that’s true. @chrispederick short posts containing videos? How rather specific!! it clear on your podcast that you’d rather not have it mentioned. As you know, I’m the oldest one around here. I hope I’m still here to read it when it’s done. And if I am, I hope it’s not so far over my head that the book is of no use to me. Like Steve Jobs, I started my life with technology by reading and following Heathkit manuals. The standard they set is still unsurpassed and it’s a standard I hope you will try to meet. There’s a video where Jobs talked about this, but I’ll leave it to the readers to find that video. @Ron Don’t worry, I do hear from other people about the book pretty regularly. I won’t forget! @manton How’s the 20min a day going… :). @manton Awesome! I’ll check on you in a couple of weeks to make sure the habit sticks :). @kaa all for it … it is hard. Trying it myself. VERY HARD. @vanessa new friends meeting new friends … the way it should be! @vanessa Thanks for being here! It’s great that you’re getting a lot out of the community here and the IndieWeb. Also glad you got the stickers! @vanessa I’m glad I’m not the only one who wants the book! There was no Web when I was a kid either. In fact, when I was a kid, all electronics used vacuum tubes, the use of silicon had not yet been invented/discovered. Imagine that! That’s great that you’ve learned how to do stuff. I remember it was super empowering for me when I bought a book and learned how to do HTML. So I’m a big believer in learning from books. Help me keep Manton aware that he needs to fullfill his Kickstarter promise. The discussion on this post is powered by webmentions and Micro.blog.